What is the difference between a B.S. and a B.S.N.? A B.S. is a degree offered by the College as a whole. It offers bachelor's degrees in a variety of majors, but each program is governed by the school as a whole. In most cases the faculty/administrator in each department has a title such as "director" or "chair." A "dean" is then over multiple departments. A B.S.N. is offered by a professional school that is a separate entity unto itself. If the school of nursing is part of a larger university, there will be connections between the larger school and the school of nursing, but the school of nursing will have its own "dean" and more political independence. Because our program is tailored to fit your previous education and the needs of your personal life, the length of the program can vary. Most nurses complete the program in two to four semesters. The RN to BS Online Nursing Program has been designed to build on your knowledge as a registered nurse. Through this program, you will realize central concepts and broaden your knowledge base through a curriculum that is unique from the program taught at the associate-degree level. Synthesize knowledge from nursing, the arts and sciences and the Benedictine values in the holistic practice of professional nursing. Demonstrate values and behaviors consistent with professional nursing standards. Demonstrate competence in utilizing patient care technologies and information system technologies in dynamic healthcare environments. Integrate effective inter-professional collaboration into practice to enhance the health of all patients, including diverse and vulnerable populations. Utilize knowledge of healthcare policy and evidence-based nursing to advocate for the quality and safety of patient care. Emphasizes the role of the nurse as a critical consumer of research findings for the purpose of improving nursing practice. Students explore the relationships between nursing research and evidence-based practice, as well as the impact that information technology has on nursing practice. Presents an overview of professional nursing practice, focusing on the roles and characteristics of the baccalaureate nurse that are requisite in a changing health care delivery system. Theory and philosophy of nursing will be emphasized and historical perspectives that have had an impact on the profession explored. Provides an analysis of historical and current issues affecting professional nursing practice. Professional nursing in a changing health care delivery system is examined from a leadership perspective. Applies public health principles to nursing practice from a population-based individual, community and system level. This course examines public health from a local, national and global perspective. This course does not meet Minnesota Board of Nursing requirements for certification as a public health nurse. Certification requires the additional 1 credit clinical course, NSG 4571. Practices assessment of communities' assets and liabilities in meeting the needs of vulnerable populations with the goal of improving their health. 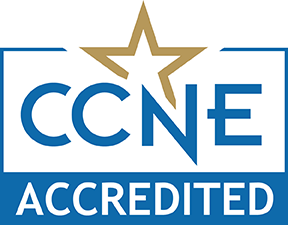 Successful completion of this clinical course, combined with NSG 4570 or public/community health theory based equivalent course, will meet the MN Board of Nursing requirements for certification as a public health nurse. Builds on assessment information from the associate degree/diploma level of nursing education. The holistic health assessment needs of culturally diverse, rural and unique populations are examined. Family assessment and environmental assessment are introduced. Introduces the RN to BS student to the Nursing Portfolio guidelines and provides faculty guidance for completion of the two introductory portfolio objectives with supporting documentation. Addresses critical thinking, the development of a personal philosophy of nursing, career planning, and the use of self-reflection in portfolio narratives. Provides an opportunity for the RN student to obtain nursing credits for the major based on prior RN experience, using a portfolio. Graduation requirements mandate the completion of 17 total credits for the nursing portfolio.